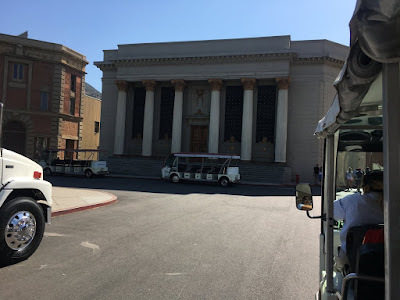 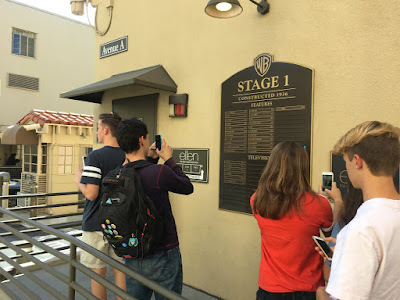 Last Fall, my wife and I took our teenage kids, and their two cousins, to the Warner Brothers Studios tour. Here's a couple of links to Part I, Part II, and Part III of our time there. 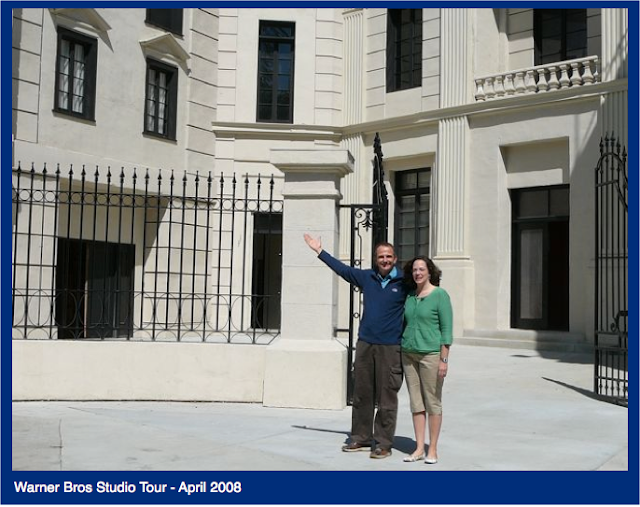 Above, the Embassy Building in the New York Street section. As mentioned in a previous post, my wife and I took the tour ten years ago. 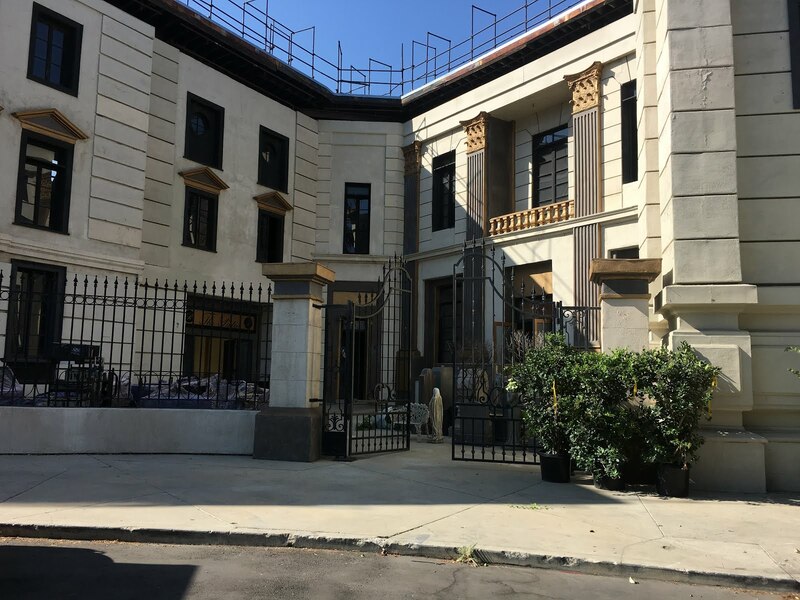 I recognized this set as the home of Daddy Warbucks from the 1999 version of Annie. 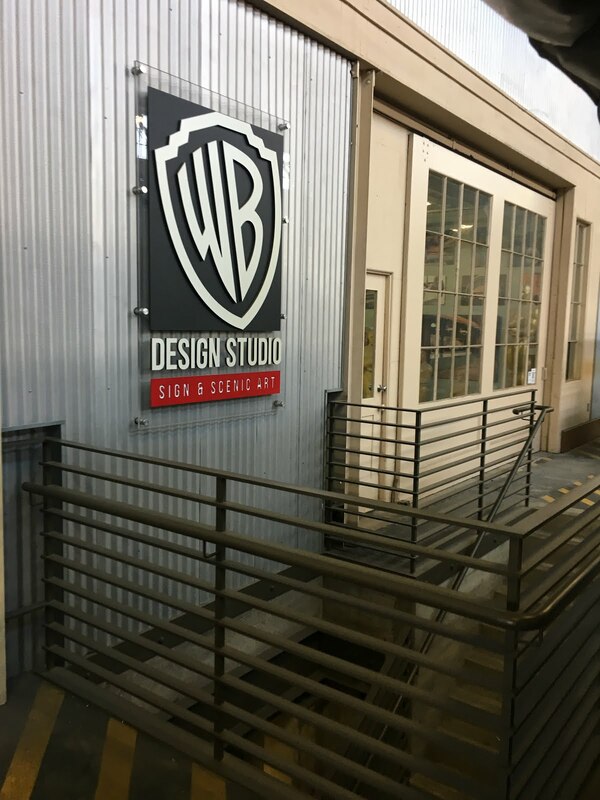 Anyone remember the cheesy but fun 1960's Batman TV show? 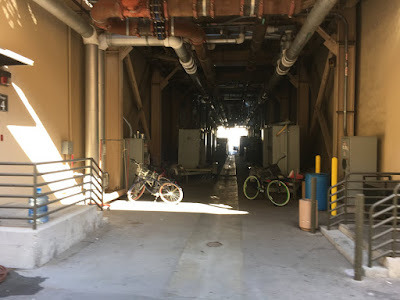 Above it Gotham City Hall. All that's missing is Adam West's version of the Batmobile parked out front. 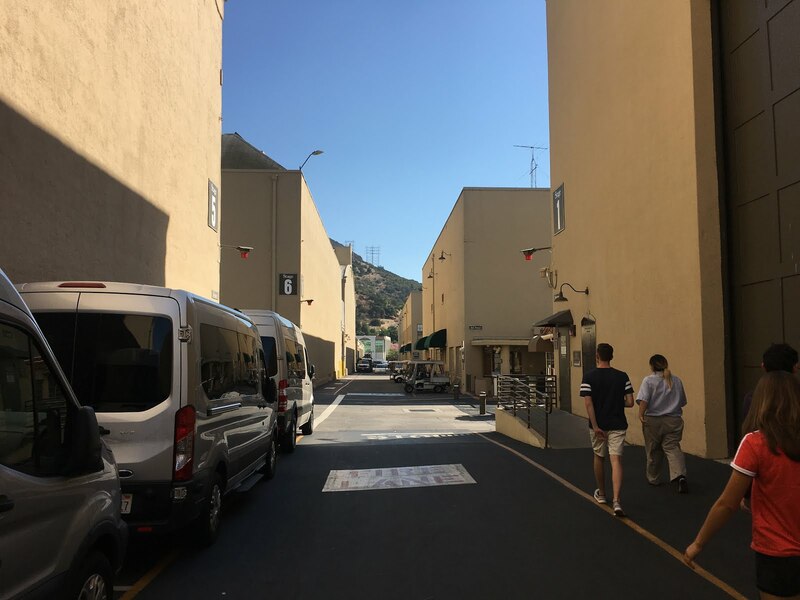 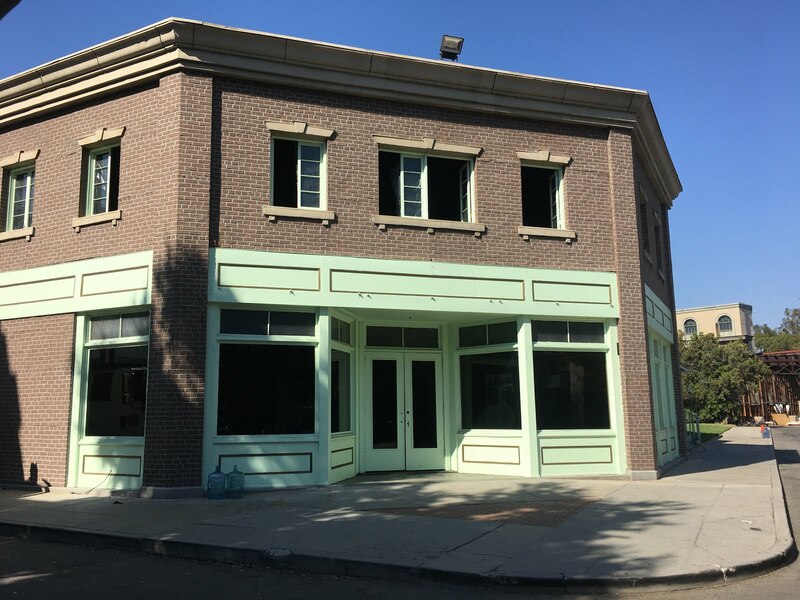 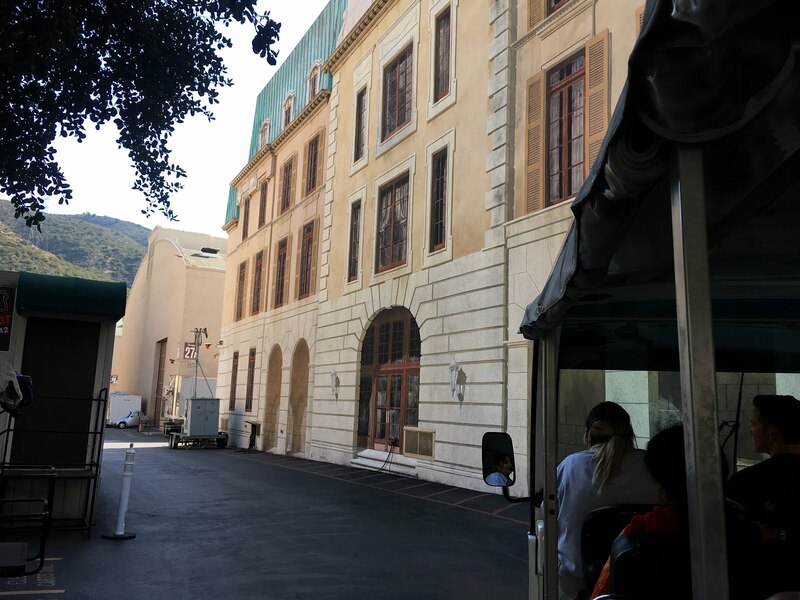 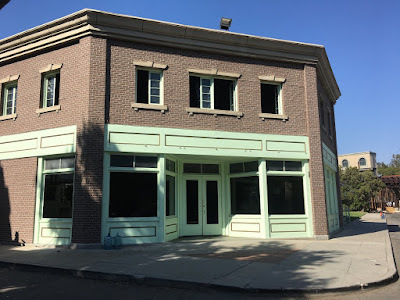 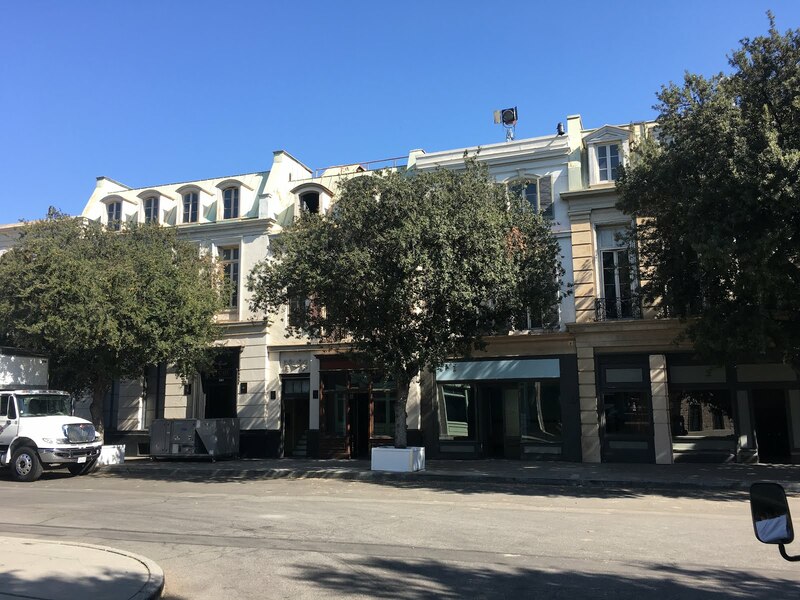 Several scenes from the 2016 musical La La Land was filmed on the Warner Brothers lot, including the coffee shop on site where Mia (Emma Stone) worked. 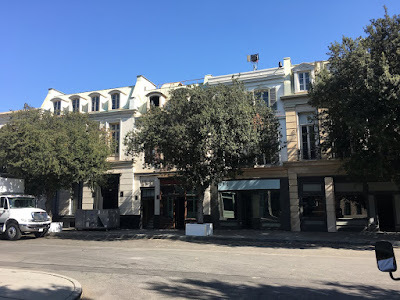 As pointed out in the film, across the street was the streets of Paris, featuring Humphrey Bogart and Ingrid Bergman in the 1941 classic Casablanca. Another view of Mia's Coffee Shop. 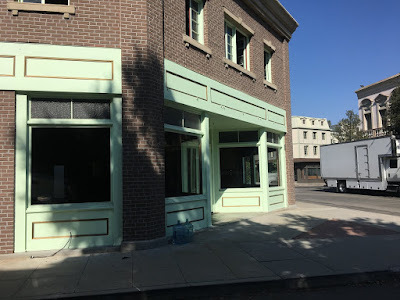 More painted outdoor sets. While these might seem a bit fake from this angle, they really do come across as real in live production. The "backside" of the Hollywood Hills, in between several sound stages. 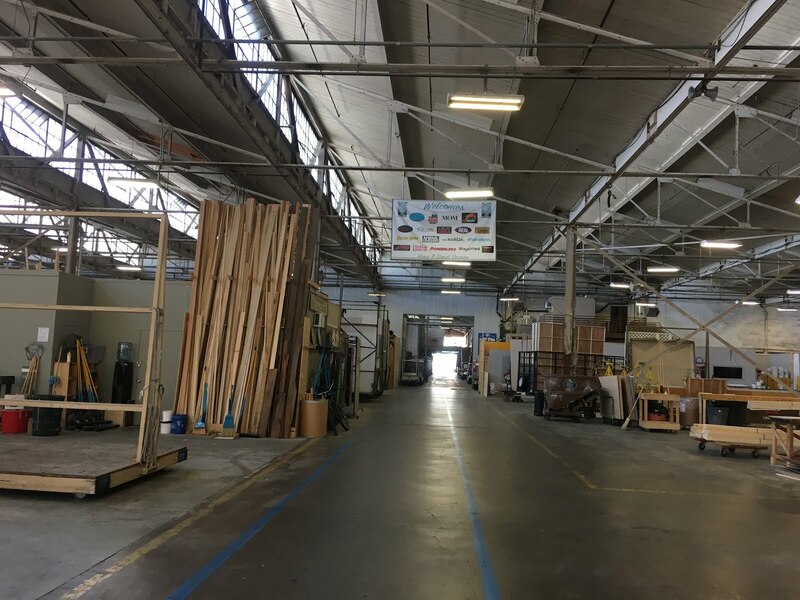 The tour featured driving through design studio, as well as the the machine and wood shops. 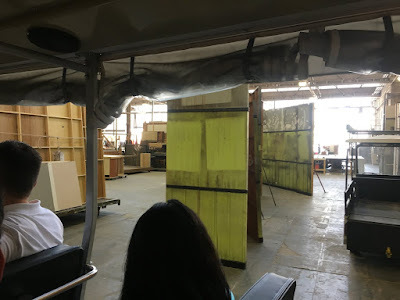 We got a chance to peak inside the production areas. It was a Saturday. During the week, my guess is that this is a beehive of activity, with carpenters working on indoor and outdoor sets. 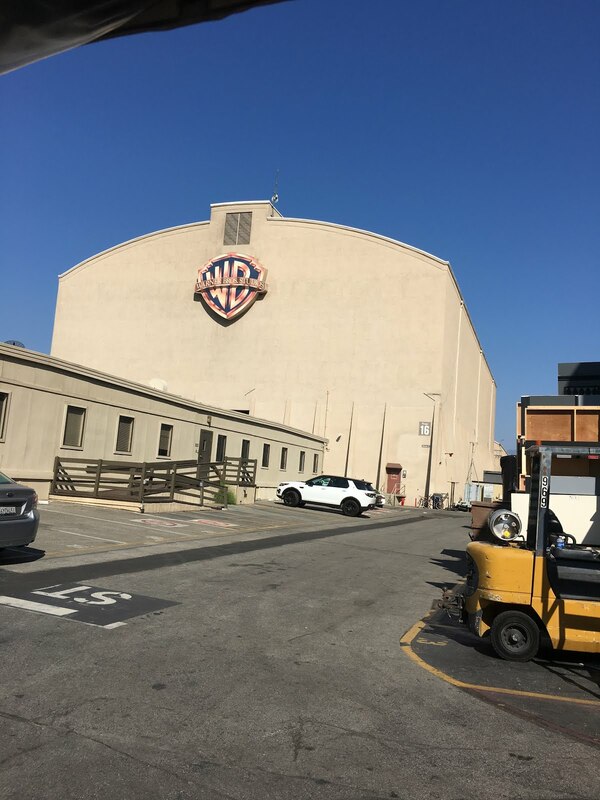 The world famous Warner Bros logo outside one of the many soundstages. 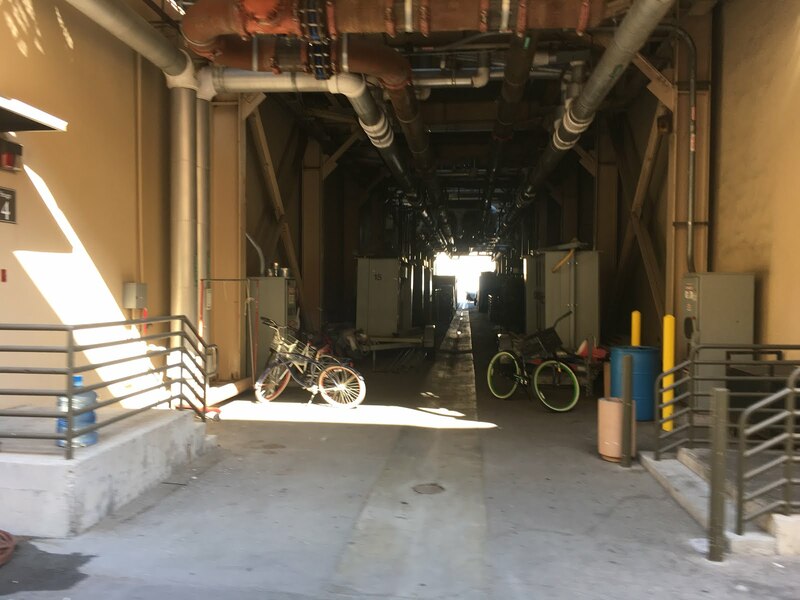 Another peak inside. 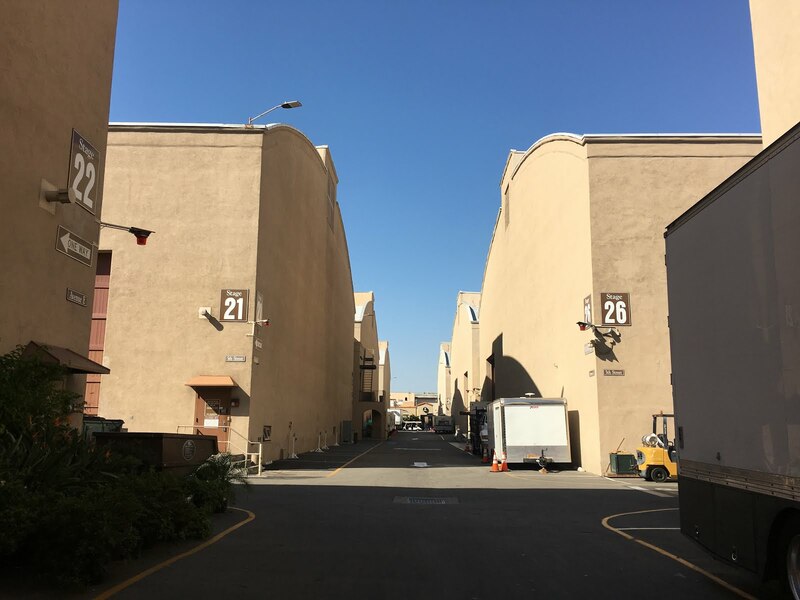 This just shows how massive some of these buildings really are. We made another stop for a tour inside yet another sound stage. 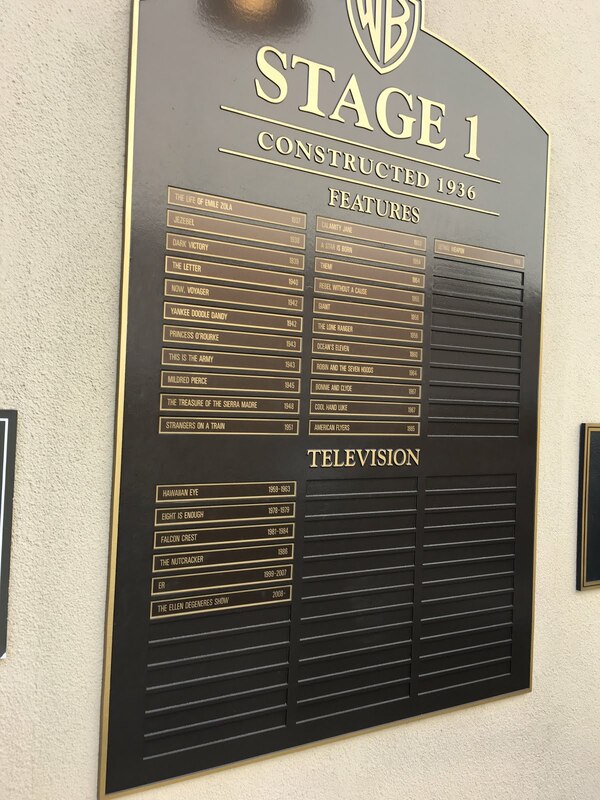 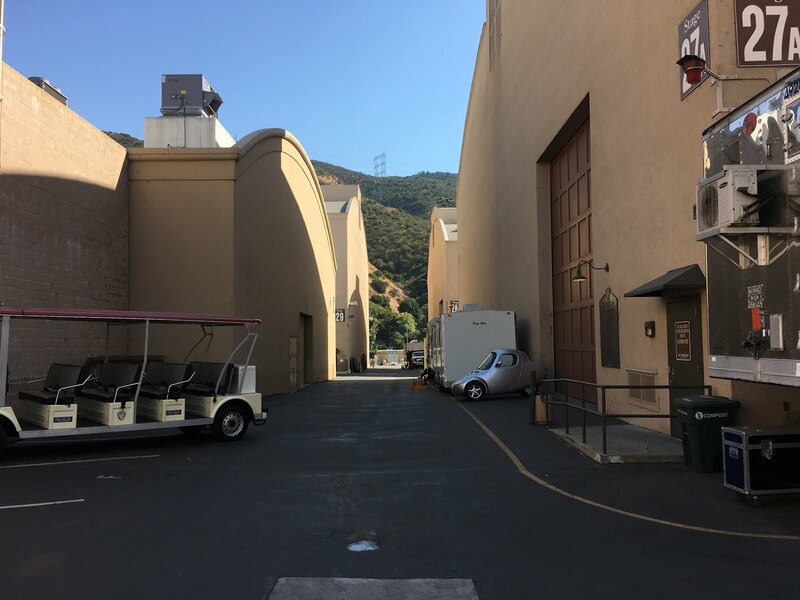 Many of the Sound Stages feature a list of films and TV shows that have produced inside. Stage 1 has been in production since 1937 with Life of Emile Zola (which I've never seen) ... to Bonnie and Clyde (1967) to Lethal Weapon (1987). 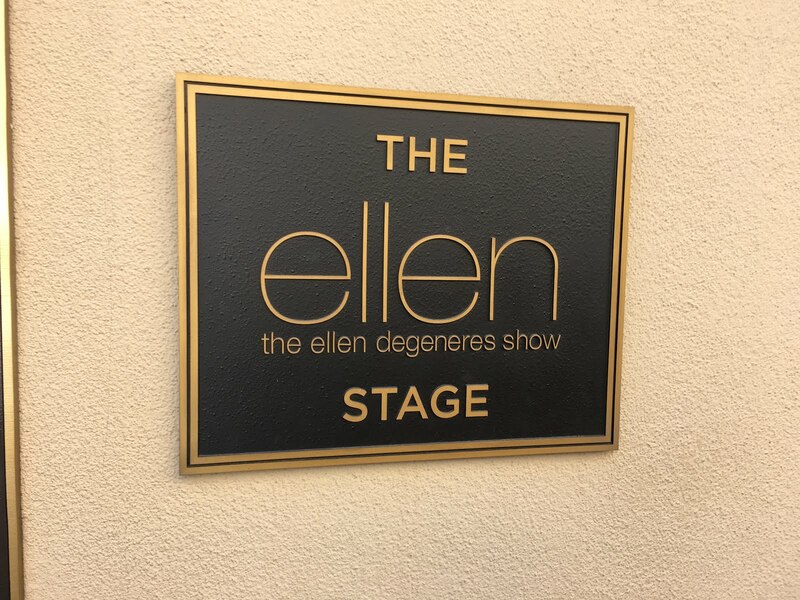 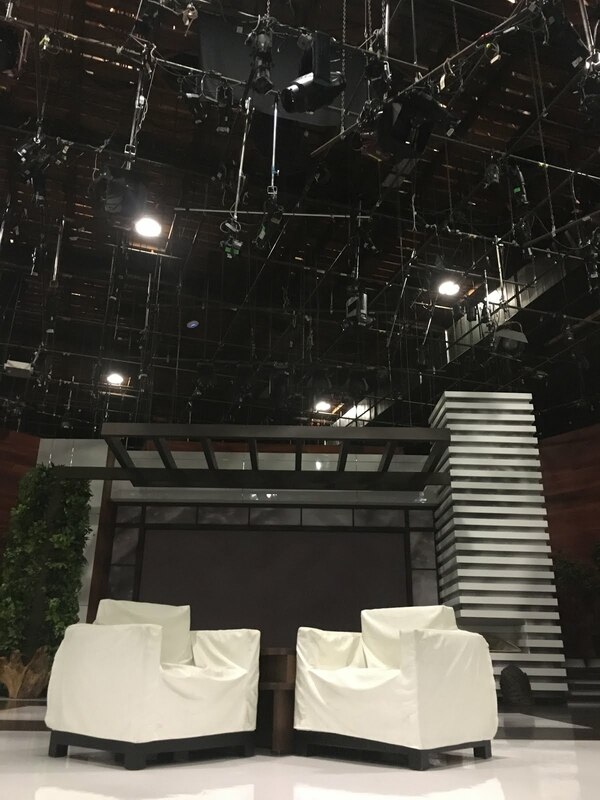 Currently, it's the location of film for the popular Ellen Degeneres Show. 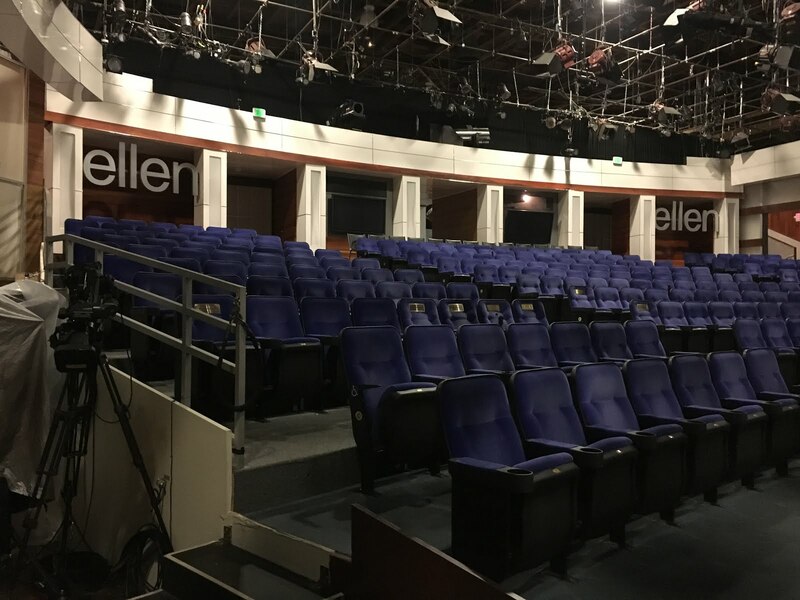 And the famous Ellen chairs. Yes, you can walk around and even sit in the chairs if you want. 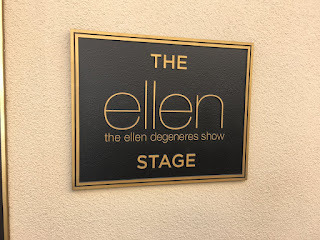 More next time.